Admission to gallery: Free for MHS members. Non-Members: Adults - $8.00; Students with ID, Seniors & AAA members - $7.00; Children 6-17: $3; 5 and under, free. In addition to items from Maine Historical Society collections and newly-commissioned pieces from Wabanaki artists, the exhibition will feature artifacts generously loaned by many individuals and organizations, including: Abbe Museum, Hudson Museum, Passamaquoddy Cultural Heritage Museum, Peabody Museum of Archaeology and Ethnology, Maine State Museum, Nova Scotia Museum, and Bangor Historical Society. Holding Up the Sky was developed in collaboration with a team of advisors, including Lisa Brooks (Abenaki), James Francis (Penobscot), Suzanne Greenlaw (Maliseet), Darren Ranco (Penobscot), Theresa Secord (Penobscot), Ashley Smith (Wabanaki descent), and Donald Soctomah (Passamaquoddy). Throughout Maine's history, individuals have worked to improve and expand medical care, not only for the health of those living in Maine, but for many around the world who need care and help. Partners for World Health continues that Maine legacy. As a non-profit organization based in Portland, Maine, Partners for World Health is committed to reducing medical waste, improving the quality of healthcare in underserved countries, and educating the local community about global healthcare issues. 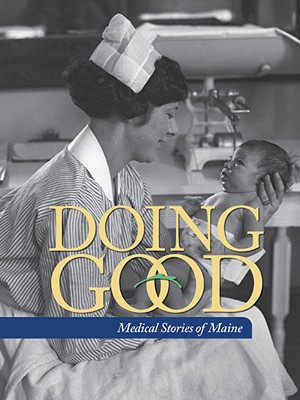 Explore the medical technology and stories of Maine's commitment to care, to help those who are ill or need assistance, in order to improve life for all. 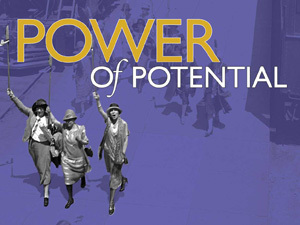 The National Federation of Business and Professional Women's Clubs (NFBPWC) held their seventh annual convention in Portland during July 12 to July 18, 1925. Over 2,000 working women from around the country visited the city. The week's events included daily conferences, networking opportunities, and social outings highlighting Maine's "Vacationland." Throughout the week, the Portland Evening Express documented the convention, highlighting activities through articles and featured photographs. This exhibition features images from Evening Express' coverage, which are part of the Portland Press Herald glass negative collection at Maine Historical Society. The NFBPWC was established in July 1919 – eight months before the 19th Amendment allocated voting rights for many American women. From suffrage to the glass ceiling, the organization continues to empower and mentor professional women. This project was made possible in part by the Institute of Museum and Library Services MA-30-16-0356-16.